For your client’s bathroom remodel, ProSource® of Mandeville has all the products and resources to help you succeed. 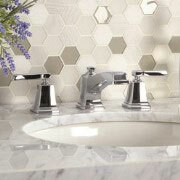 We believe bathrooms should be an oasis, and leaky faucets and old vanities just don’t support that. When you come into our showroom, our design experts will help you and your client make informed decisions on brands, styles, and durability. Give your client’s bathroom some flair without breaking the bank when you choose a new bathroom sink with us. We have everything from pedestal to vessel to wading pool styles and are happy to accommodate varying pricing constraints. Sink faucets don’t have to be one-size-fits-all. Whether your client wants a modern brushed gold lever faucet or a more traditional chrome faucet with cross handles, or anything in between, we can provide you with it at a reasonable price. With a beautiful shower remodel, your client’s bathroom will be completely transformed into a luxury spa where they’ll truly relax. ProSource of Mandeville has the styles, accessories, products and expertise to make it happen. 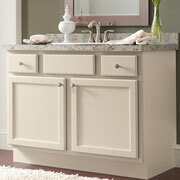 Bathroom vanities encompass everything from storage to counter space to lighting, mirrors, and more. Because it does so much, a vanity will sometimes be overwhelming in a space even if it fits. Our design specialists can help sort through options so your client’s bathroom is looking its best. 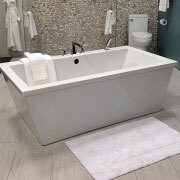 Jacuzzi tubs, tub-shower combos, and claw feet tubs should all be considered when your client is embarking on a bathtub remodel adventure. 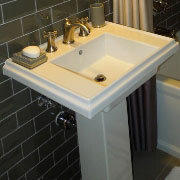 Materials, styles, faucets, and hardware are all aspects of a bathtub remodel allowing customization. 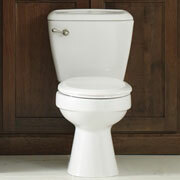 A new toilet means better efficiency, no cracks in the seat, and finally fixing that loose handle for good. Flush ratings, bowl size, and flushing mechanisms are all top concerns when purchasing a new toilet, and our designers can help.